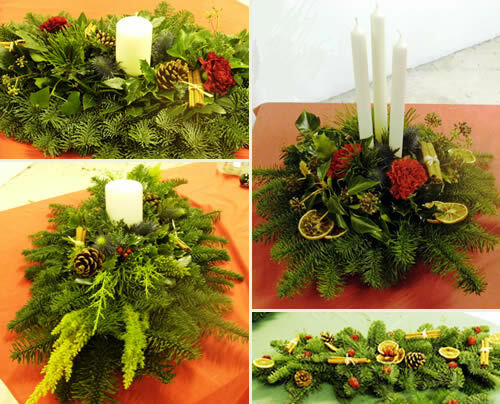 Plain and decorated handmade wreaths and table centres are also available. 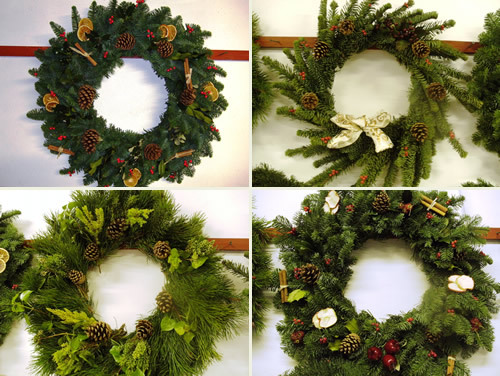 Our wreaths are of the highest quality and can be decorated to your specification in order to match the theme or colour of your own home decorations. There is generally a wide selection to choose from with prices starting from £20. Bespoke table centres and mantle toppers are also produced. These can be made to measure.